Did you see the decopatch elephant I made on my Birthday last week? I'm so pleased with him! The day after my Birthday Pete had the day off work. ......I had the Rosebud tea and it was lovely. Surprisingly tasted quite "tea-like"! .....now that really was delicious! It was a mix of mushrooms with advocado on sourdough toast, topped off with a perfectly poached duck egg. The yolk was oozy and delicious....and did I say delicious?! ......and went on the Manchester wheel! 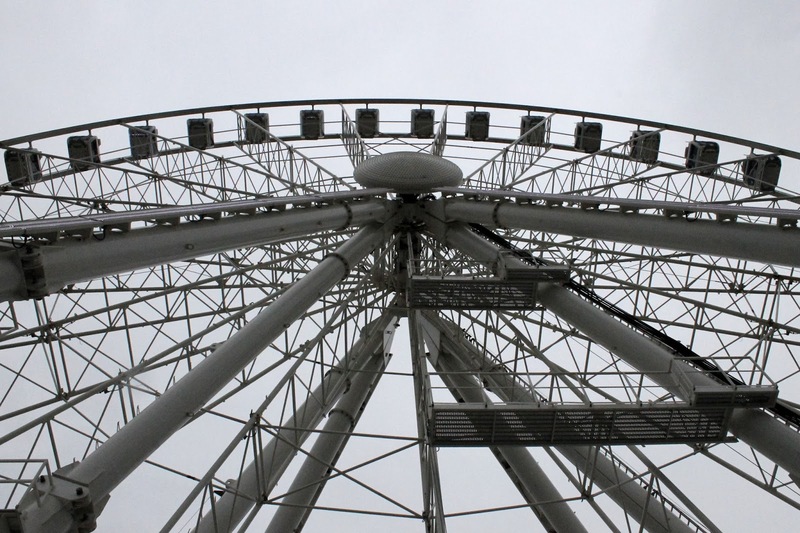 Manchester had a wheel when I first moved here but over Christmas a new one popped up in Piccadilly Gardens. Neither of us went on the old one so thought it might be worth a shot. 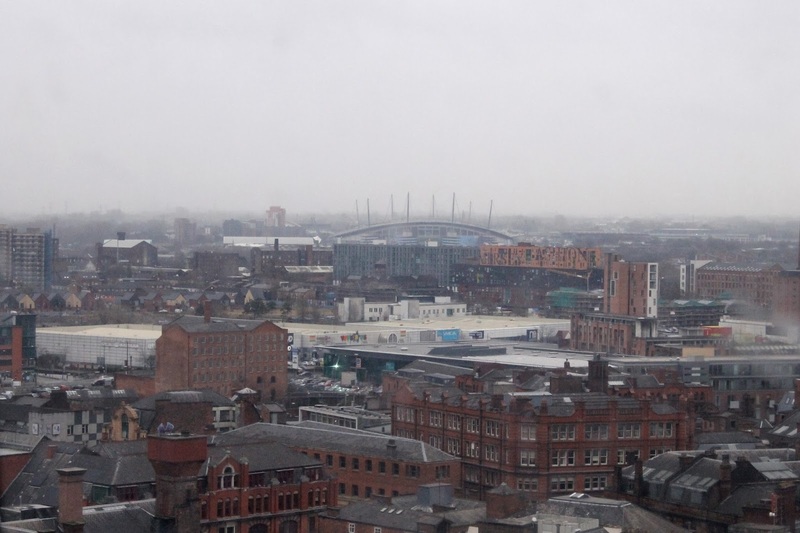 It was a pretty miserable grey day as you can tell from these pictures, but once in the lovely warm pods you could forget about that and take in the Manchester skyline. Now, I wasn't really sure what to expect as I couldn't imagine the view to be that fantastic (sorry Manchester! ), and to be honest it was as I expected, but it was still pretty fun (and a little bit wobbly!)! Worth a quick spin if you are around. I would definitely recommend going on a brighter day though!